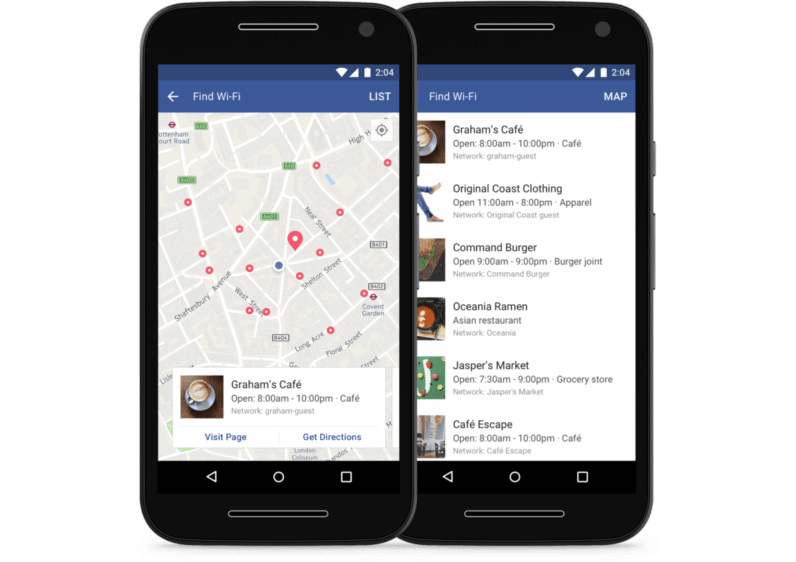 Last year, Facebook began testing a feature that made it easy to find public Wi-Fi networks around you. It was only available in iOS, and only in select locations. Now Facebook is rolling out the feature to everyone on its mobile apps. Just tap on the ‘More’ tab, and then select ‘Find Wi-Fi’. You’ll see nearby Wi-Fi locations on a list or map, as well as information about the businesses hosting them. It’ll come in handy if you’re travelling internationally and don’t have cellular data/can’t afford roaming. There’s often Wi-Fi somewhere around you, but getting a consistent signal can be a pain if you don’t know where the network is originating from. Likewise, it comes in handy if you’re on a limited data plan and wan’t to use Wi-Fi as much as possible to avoid being capped or paying extra fees. But hey, if you’re ever lost in a foreign country desperately looking for Wi-Fi, it’s at least a good starting point.